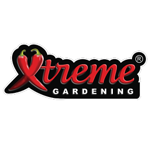 Xtreme Gardening was launched in 2008 as the retail division of RTI (Reforestation Technologies International). The parent company, RTI, is best known as the United States’ oldest-running and most renowned producer of Mycorrhizal Inoculum. Providing the world with high-quality biological inoculum, RTI products are responsible for successfully planting over 750 million trees in 9 countries, restoring some of the poorest habitats known to man around the globe into lush, thriving ecosystems capable of not only sustaining life, but producing bountiful harvests.